1) The conditions of sale apply for the purchase of products and services between the company Kuutolm OÜ (hereinafter referred to as “NOART Online Store“) and the buyer from NOART.EE Online Store (hereinafter referred to as the “Consumer“). 2) In addition to these conditions, the legal relations that arise from the purchase of products from NOART Online Store are governed by the Law of Obligations Act (hereinafter 'LOA'), the Consumer Protection Act (hereinafter CPA) and other legislation in force in the Republic of Estonia. 3) NOART Online Store reserves the right to make amendments in the conditions of sale. The mentioned amendments will be reflected on the NOART.EE website. 1) All prices at NOART Online Store include 20% VAT. 2) The prices are valid from placing an order until the expiration of the deadline for payment of the registered order (3 days after placing the purchase order). 3) If the order has been placed before changes were made to the conditions of sale or the prices, conditions in force at the time of placement of the order shall apply to the legal relations that arise between the Consumer and NOART. 4) NOART Online Store reserves the right to make amendments in the sales prices. The mentioned amendments will be reflected on the NOART.EE website. 1) Add the desired products to the basket of goods. 2) In order to confirm your order, first click on the “Proceed to Checkout” link in the basket. 3) Then select whether you want to make a single order or as a loyal customer (if the online store has such option). 4) On the page of placement of order, fill in the required data fields, choose a suitable way of delivery for you and click ”Order with payment obligation”. The invoice will then appear, which can be conveniently paid via a bank link (Swedbank, SEB, Sampo, Nordea, etc.) or by using other euro payment solutions available in the banks. Details for euro payment with all applicable state taxes and additional charges can be found on the invoice displayed on the screen after confirmation of the purchase order. 5) Carefully fill in the fields on the data and order confirmation page, because the accuracy and correctness of the information provided ensures a quick and smooth delivery of the purchased goods, as well as the possible subsequent settlement of disputes and claims. 6) The orders placed in the online store are processed on workdays, Mon-Fri from 8 a.m. to 5 p.m. If an order is placed on Friday after 2 p.m., it shall be confirmed on the following Monday. 1) By concluding a sales contract of goods, the NOART Online Store undertakes to hand over to the Consumer already existing goods, the goods being made or the goods acquired in the future by NOART, and make possible the transfer of ownership to the Consumer. The Consumer on their behalf undertakes to pay NOART for the ordered goods the sum indicated on the invoice, and accept these goods. 2) Unpaid orders will be cancelled in 3 days after the order has been confirmed. 3) The sales contract shall enter into force after the receipt of payment made by the Consumer to the bank account of the online store. 1) After entry into force of the sales contract, NOART Online Store completes the order and gives it over to company's logistics partners for delivery. 2) The time of delivery indicated on the website of the e-shop become effective from the moment of receipt of the order amount on the bank account of the online store. 3) For delivery without delay it is necessary to be careful and during placing the order, correct and valid information must be provided when entering the delivery data. 4) NOART Online Store will not be liable for delays in the delivery of goods if the goods have been handed over to the logistics partners in time, but the delay in delivery is caused by circumstances that could not have been controlled or foreseen by NOART Online Store. 1) The Consumer has the right of withdrawal from the e-shop contract within 14 days after the receipt of the purchase order without disclosing the reason. 2) In case of deterioration of the condition of a returnable item, the Consumer is liable for the degradation in value due to the use of the item only if they have used the item in any other way than it is necessary for being convinced of the nature, characteristics and functioning of the item. In order to be convinced of the nature, characteristics and functioning of the item, the Consumer should handle and use the item only in such a way that would normally be allowed in the shop. 3) In order to return the goods, a goods purchase withdrawal application which can be found on the homepage of NOART Online Store must be filled in and sent to the address info@noart.ee no later than 14 days from the receipt of goods. 4) The Consumer must return the goods within 14 days from submission of the application, or present a certificate that they have handed over the goods to the logistics company within the above-mentioned period of time. 5) The Consumer will not need to return the goods via the logistics company if NOART Online Store has agreed to collect the goods itself. 6) Upon the receipt of the withdrawal application, NOART Online Store shall return to the Consumer without delay, and no later than within 14 days, all the fees received from the Consumer in accordance with the contract, and among others, the delivery costs of the item used by the Consumer, except in the case if the Consumer has expressly chosen another way of delivery than the cheapest one offered by the company. In such case, the online store is not obliged to return to the Consumer these costs that exceed the cost of usual way of delivery. 7) The image on the shirt may slightly differ from the image displayed on the screen of your computer. 1) NOART Online Store is not liable for damages caused to the Consumer or for a delayed delivery if the damage or the delayed delivery is caused by circumstances which could not have been controlled or foreseen by NOART Online Store. 1) By entering data and with a corresponding confirmation, the Consumer gives the online store the right to collect and process the Consumers' personal data (name, phone number, parcel delivery and/or home address, e-mail address) and to forward the personal data to the logistics partner for the goods delivery. 2) NOART Online Store has the right to use the Consumer's home or location address for sending advertising and other information to the Consumer. 3) The Consumer has the right at any time to prohibit the collection and use of their personal data, except in cases when it is necessary for recovery of a claim arising from the contract, or for the delivery of goods. 5) Encrypted data communication with banks when paying for purchases ensures the security of the Consumer's personal bank details, and neither has the online store access to them. 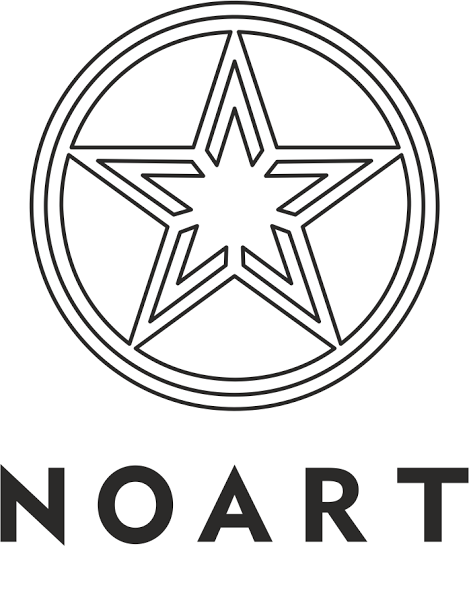 1) NOART Online Store is responsible for noncompliance with the contract terms or for any defects of the goods sold to the Consumer that become obvious within up to two years from the delivery of the goods to the Consumer. 2) If such defect occurs, the Consumer has the right to contact NOART Online Store within two months at the latest by submitting the invoice on the basis of which the purchase of goods was paid. 3) If a defect becomes obvious, the goods should no longer be used. 4) NOART Online Store and the Consumer shall agree among themselves on the repair or replacement of the defective goods. NOART Online Store shall cover the repair costs. 5) NOART Online Store is not responsible for any defects of the product caused by the fault of the Consumer as a result of noncompliant storage or abnormal use of the product. 6) If a noncompliance or defects become obvious, kindly submit a claim to the e-mail address info@noart.ee, stating the name of the person who placed the order, phone number, number of the order and a precise description of a noncompliance or defect. 7) In case of detection of a noncompliance or defect, the claim must be submitted within two months after the detection of such noncompliance or defect of the product. 8) All claims will be reviewed and the Consumer will be contacted as soon as possible, but no later than 14 days from the date the claim was received. 9) The Consumer has the right to request from NOART Online Store a reduction of purchase price or termination of contract and a full refund for the purchased goods if NOART Online Store is not able to repair or replace the goods, the reparation or replacement fails, NOART Online Store has not eliminated the defect within a reasonable time period or the Consumer has suffered from unjustified inconveniences. 1) If the online store has refused to settle the Consumer’s complaint or the Consumer does not agree with the solution offered by the online store and finds that their rights have been violated or their interests have been damaged, the Consumer has the right to file a complaint to the Consumer Disputes Committee via the Consumer Protection Board, or to a court of justice. The Consumer may file a complaint itself or via a representative. The contact details of the Consumer Disputes Committee can be fount on Tarbijakaitseameti kodulehel, in the case of problems arising in the member states of the European Union, turn to Euroopa Liidu tarbijate Nõustamiskeskusse.